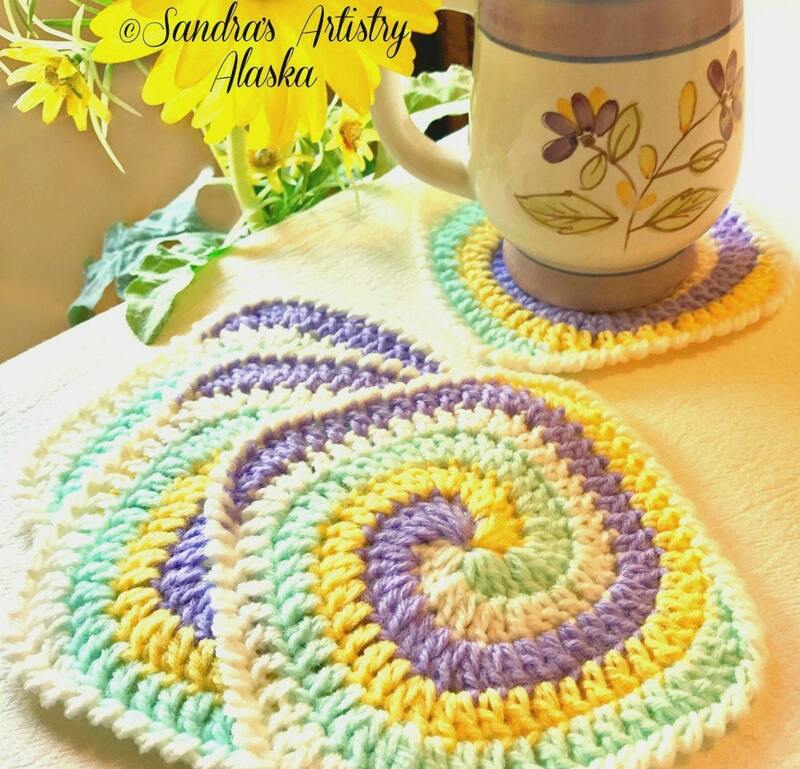 Fun and festive larger 6" sq spiral mug coasters or mini surface protectors. A great method in which to start your day on a happy note! 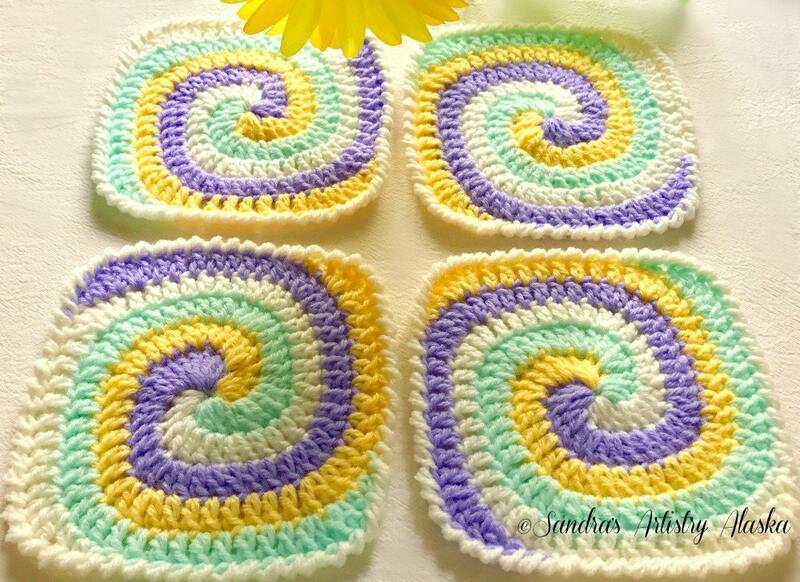 Set of 4 coasters with each order. 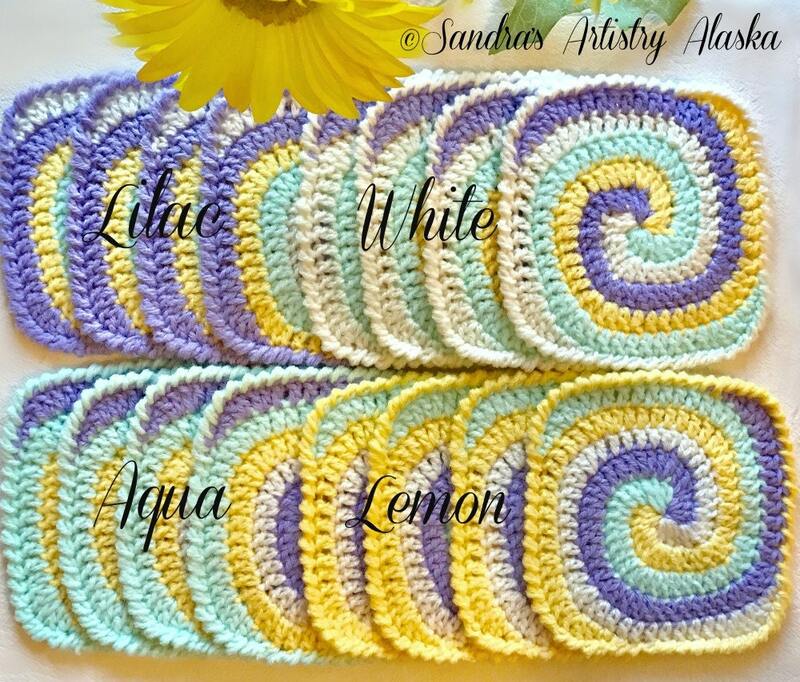 - Lilac; White; Aqua; and Lemon. These coasters or mini surface protectors will provide a great enhancement to any table, desk, or studio; a conversation piece, they'll be. Equally lovely would be to enhance the base of your floral arrangements, planters, vases, and treasured pieces of artwork.